NEW!! 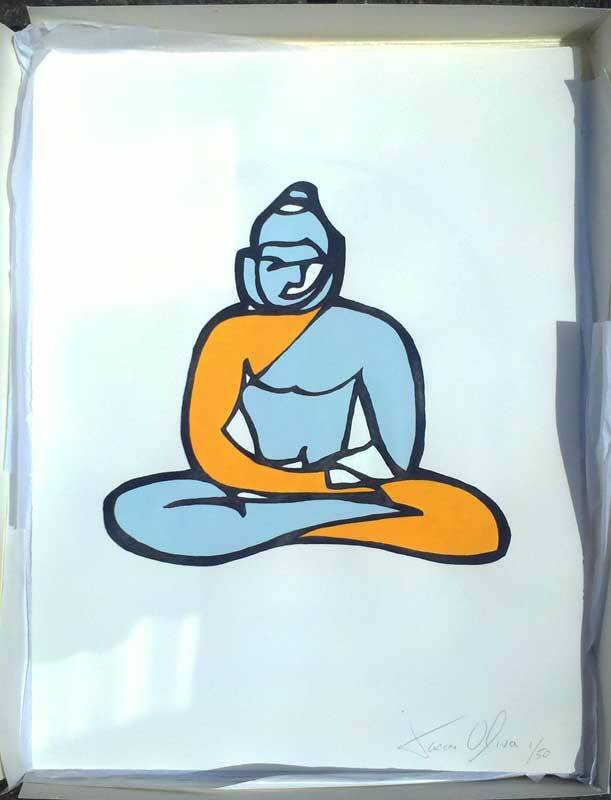 Limited Edition 'Works On Paper' based on sold paintings by Jason Oliva all hand painted signed and numbered by Jason Oliva, Buddha and Eiffel Tower are first up. I am really pleased to finally release these out to everyone. For years people have been requesting ‘Prints’ of some of my more popular sold paintings and I always resisted. I always felt that a mechanical reproduction was not up to snuff. I have had a lot of success with the monopoly print which I made almost 11 years ago but now years later as it sold out the price has rose to almost match the price of an original painting. I really wanted to make some of these images available to everyone at a better price point but keep the quality and the exclusivity as high as ever…. So after my fateful meeting with James Rosenquist I learned about Arches paper…its amazing stuff and the paint takes to it beautifully and that was it I was off to the races. Instead of mechanically producing re-imagined imagery from the sold painting I decided I was going to paint each and everyone of them (a lot of work for sure, but I enjoy every long hour of it) I can also roll them up for shipping worldwide or offer a great black wooden frame under raised glass. 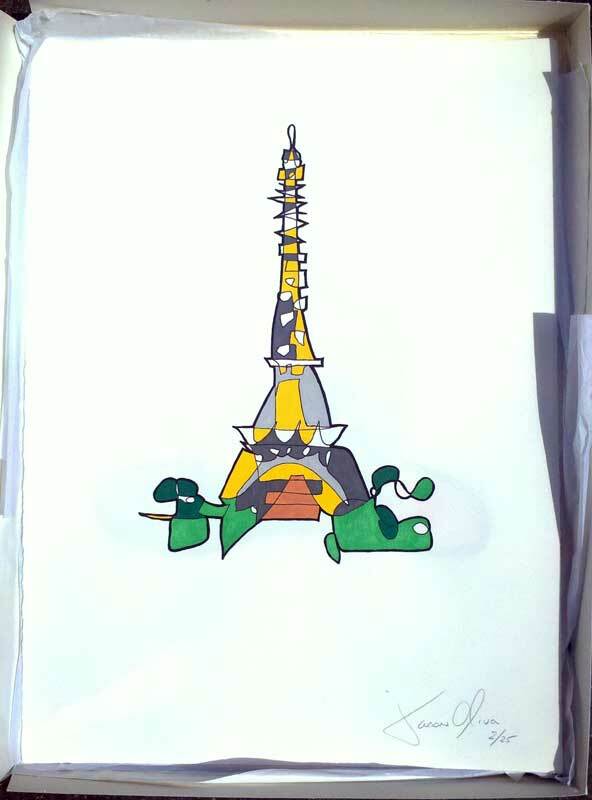 The first 10 Buddhas are $475 unframed and the first 5 Eiffel Towers are also $475 nframed as they sell and there are fewer available the price will be raised. I will also be displaying these framed and for sale at New York Vintners where I keep my gallery/studio (21 Warren st. NY NY) In just a short time I have shipped these works on paper to two different countries and two different states! all happening so quickly …all very exciting! Thanks for looking and thanks for sharing!